A Non-profit child care referral and support agency serving the diverse families in Northern Alameda County, California. They provide free parenting information, workshops and referrals to family child care, child care centers, preschools, babysitters, in-home caregivers, nannies, playgroups and provide subsidized child care for parents in need. They also offer training, workshops, classes and technical support to caregivers and child care programs to assure parents a wide selection of quality care. Child Care Links acts as a link between government social service agencies and families. Income-eligible families can receive needed funds to pay for child care and also education on how to find quality child care. Child Care Providers, parents and employers receive valuable one-on-one support and education from our agency. Free child care referrals are provided to parents in the Tri-Valley area. 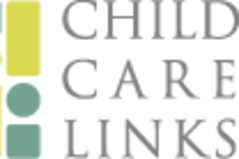 Child Care Links currently serves participants out of three offices located in Alameda County: Pleasanton, Fremont and Oakland. 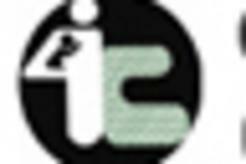 We are a Resource & Referral agency and an Alternative Payment Program. 4C’s is the state-designated Resource and Referral agency for southern Alameda County and your one-stop resource to finding quality and affordable child care. They also assist child care professionals to develop healthy, safe, and nurturing environments that are both educational and fun. Their vision is to be recognized as a model for providing exemplary services to diverse community of children, families, and child care professionals. Our schools offer subsidy programs through the State Department of Education, Federal grants and Alameda County Social Services Department.